MOSCOW (Sputnik) - A ground-based version of Kalibr sea-based complexes with a long-range cruise missile should be developed in 2019-2020 in response to the US decision to suspend its obligations under the Intermediate-Range Nuclear Forces (INF) Treaty, Russian Defence Minister Sergei Shoigu said on Tuesday. "In 2019-2020, we should develop a ground-based version of sea-based Kalibr complexes with a long-range cruise missile, which has proved to be effective in Syria. During the same period, we should create a ground-based missile complex with a long-range hypersonic missile," Shoigu stated, adding that the measures would be taken in light of Washington's decision on the INF Treaty. "Besides, it is important to increase the range of land-based missile systems, which are currently being developed," Shoigu added. 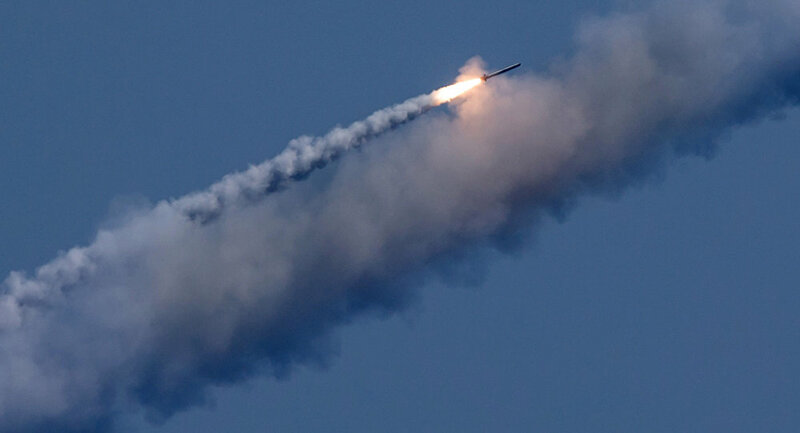 Speaking further, the senior official said that the experience of conducting combat operations with the help of high-precision weapons in Syria demonstrated that Russia needs to re-equip the orbital group of military spacecraft. "Syrian experience shows that effective use of high-precision weapons requires detailed reconnaissance and cartographic data. Such data can be obtained only via modern satellites capable of surveying the Earth's surface in high definition," Shoigu said, adding that the Russian Defense Ministry was already actively working on the task. On Friday, the United States announced the suspension of its participation in the Cold War era treaty that banned ground-launched medium-range missiles with a range of 310-3,400 miles. Next day, Russia suspended its obligations under the treaty as well. At the same time, US Ambassador to Russia Jon Huntsman said on Monday that Washington reserved the right to freeze its withdrawal notice from the INF Treaty if Russia returned to verifiable compliance with the arms limitations pact within six months.